Sometime in the winter of 2014 I recovered it a second time, and didn't actually document it on the blog. The horror! It had begun to shred and fray in some places and a few places the batting had got really squished down. The second time, I didn't piece the cover at all because the seams in the cover were quite annoying on the rare occasion when I ironed clothes. I did an argyle-type diamond pattern of quilting the second time using my walking foot. It really didn't hold up all that well the second time (maybe because I was sewing more during this time) so this weekend I recovered it with version 3.0 -- again with one solid piece of fabric. Here's the version 2.0 cover pinned with an additional layer of batting and the new cover as the "backing" -- here you can see how abysmal the cover had gotten! The color fading is/was worse in person! I did "large matchstick" quilting with my walking foot across the entirety of the cover in brown to match the new fabric I was using. Here's the binding added. I use the pocket created by the double binding to string through my cord to cinch up the cover around my ironing board. I am probably going to replace it with elastic the next time I hit up Joanns. It's still a little stiff and doesn't want to fully conform to my board yet, but it'll get there! This weekend I was able to make some serious progress on my Picnic Pinwheels quilt! I decided to go no borders on this one and used one of the leftover fat quarters from these coordinates to make a whole pile of bias binding. It's gonna be close, but I should have just enough. I'm about 2/3rds of the way done with the quilting (hooray!) so I should be able to finish it up over the next few days! On Tuesday night, we made the pilgrimage to the Great Frederick Fair to see how my quilts placed and to pet some animals. Priorities, you know? I'm so excited to share that my Firewheel Stash Bee Quilt won SECOND PLACE in its division! My other two quilts came in 4th and 5th in the respective categories -- MUCH better than last year! I have a bone to pick with these judges because of how many panel-based quilts won ribbons. The quilting on them were GORGEOUS but the technical skill to make them was ZERO. Just my opinion. Here are some of my favorites! Please forgive the not-so-straight pictures -- that's more the way they were hung than my picture taking abilities, I promise! And what I wouldn't give to see the WHOLE quilt of some of these! I love me a good New York Beauty and this one takes the cake! The quilting on the white border was gorgeous! This is the wall hanging winner. Such small applique! I'm not sure what this one's category was BUT I really wish I could see the whole quilt because I have a feeling that it is a colorwashed rainbow. 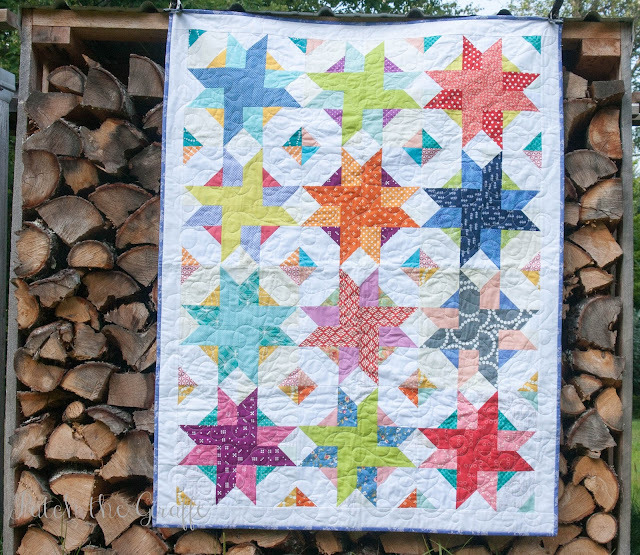 A great take on a hexie quilt! This mini quilt actually shows the profiles of all/many of the church spires in the downtown of Frederick, MD. Very neat! Of course somehow I missed taking a picture of the best in show, but I can tell you it was GORGEOUS! The long arm quilting was exquisite. Happy Thursday! I have to get back to working on that baby quilt! I haven't quite kept up with my goal of making one block a day, but I have made seven blocks for my Picnic Pinwheels baby quilt! Now, I definitely followed the directions on the first page on how to make all of the units, yet my pinwheels are twirling the opposite direction from the final pattern. I guess as long as all of the blocks in the quilt go the same way it really isn't an issue. Since call of the blocks are different in this quilt and I painstakingly picked three fabrics for each one, I have to make sure that I keep everything in order and pinning everything to my wall hanging has worked out pretty good thus far. I need a design wall once we finally move out of our apartment and buy a house! And it's a good thing that I started on a baby boy quilt -- because the first one of the five on my list was born over the weekend and is a boy! Once I get this one done, I have two due in December (one boy and one TBA) and then two in March (both TBA). So many baby quilts! Linking up at Linky Tuesday, Building Blocks Tuesday, Let's Bee Social, and WIP Wednesday! 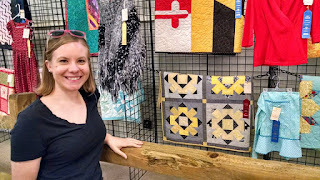 Come back tomorrow for a post about the quilts at the fair! Spoiler alert: I won a ribbon! Quilts entered in the fair! Saturday I took three quilts to be entered at the Frederick County Fair! Here are which ones I took and what categories that they were entered in. I won a third place ribbon with my 2013 Stash Bee quilt, so I figured it was a good idea to enter that category again! I won't know the results until at least Saturday because I have to go to the fair to find out how I did! Since last I posted, the number of baby quilts that I have on my list has now increased to five between now and March. I figured I better start cracking on them now. Since I know at least one will be a boy, I decided to start cutting on a boy quilt this week in the evenings. I also decided to use Chelsea's new pattern, Picnic Pinwheels. It is free on Craftsy right now! My quilt will be the same set up as the one above (the baby size version) and I'm going to be using the second set of fat quarters of the baby boy sock monkey fabric that I got last summer! Here's all of my star parts all cut out! My goal is to make one star every day over the next two-ish weeks so that I'll be able to get this one finished up and set aside by the end of September! If the baby due in two weeks is a boy, I'll be all set! If not, I'll just have to start a girl quilt -- oh darn! The nice thing about a three day weekend is being able to get caught up -- and this month I was able to get AHEAD! Here's my September Stash Bee block for Katie who requested scrappy blocks! 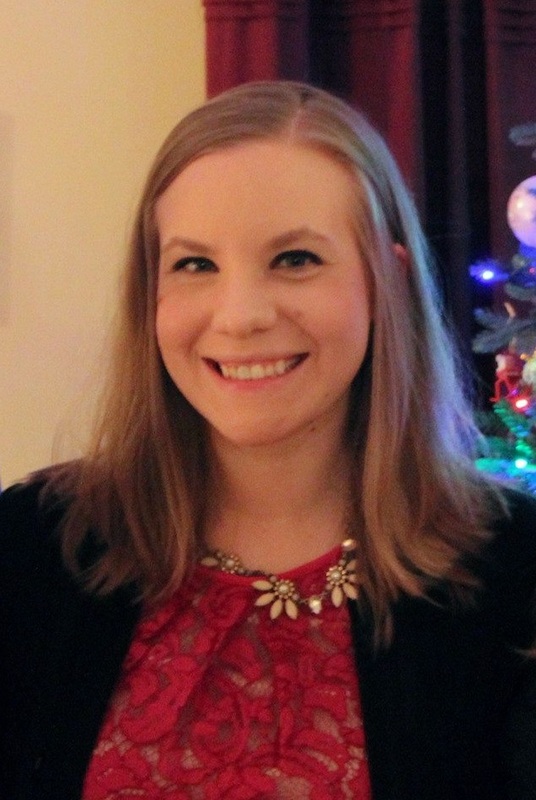 I was all intent on doing two (or more!) blocks to use up scrap BUT I had very few blues that fit the bill of what she was requesting! I hate when that happens! I ended up making her one block and am sending her the rest of one of the yellow fat quarters that I used in my block. I also was able to get all of my September square-in-a-square blocks completed for the Midnight Mystery QAL! And here are all 34 completed and ready to go! Happy Tuesday! 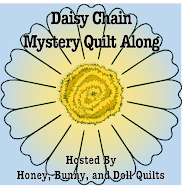 Linking up to Sew Fresh Quilts, Quilt Story and Freemotion by the River!